“A few days ago, Secretary Sebelius apologized to Congress….for a malfunctioning website. “But the problem is not just the website. The problem is Obamacare itself! Obamacare is a disaster for American families coast to coast. We don’t need a website fix. 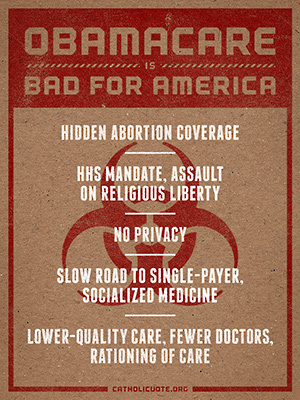 We need real healthcare reform – starting with an end to Obamacare. “In her testimony to Congress this morning, Sebelius did her best to best minimize the problems, pledging to fix the website. But no amount of spin can change the nightmare just now beginning. “In just over a year, a third of the Senate and the Congress will face the voters. We must keep the pressure on every elected official. We don’t want a website fix. We want real healthcare reform. Read the whole article and to the understand the five reasons ObamaCare is a disaster, click HERE. This video deserves a Million views. Watch it, like it, share it. Own Logos Software? Do Me a Big Favor!